There is clear typicity of Riesling, but with added body, weight and complexity. Unusually for Riesling, this wine has been matured in new oak, along with substantial lees contact. 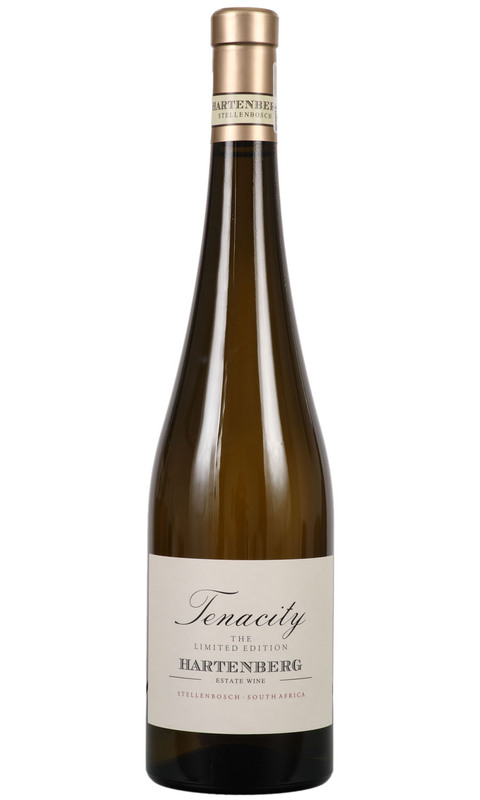 Tenacity is rich, aromatic, creamy and rounded with generous fresh fruit and brilliant complexity. There’s a lime, petrol like character on the nose, and hazelnut and exotic fruit on the palate. The Hartenberg estate is situated just west of Rupert and Rothschild’s Huguenot Farm between Stellenbosch and Paarl. Tenacity is very much an experimental wine, an experiment that was a great success. We are the only shop in Europe to list this due to the fact there were only 750 bottles produced annually.